The University of Missouri was founded in 1839 in Columbia, MO, as the first public university west of the Mississippi River and the first state university in Thomas Jefferson's Louisiana Purchase territory. MU provides all the benefits of two universities in one — it's a major land-grant institution and Missouri's largest public research university. Considered one of the nation's top-tier institutions, Mizzou has a reputation of excellence in teaching and research, and is the flagship campus of the four-campus University of Missouri System. It is one of only 34 public universities to be selected for membership in the Association of American Universities. MU offers more than 286 degree programs — including 43 online degree options — and is designated as comprehensive doctoral with medical/veterinary by the Carnegie Foundation for the Advancement of Teaching. Why Study Health Management and Informatics at MU? As an online executive student, you will have the opportunity to learn from health-care experts. Mizzou faculty are nationally recognized and widely published. They teach both the residential and the executive online students. Our top priority is to prepare each of our students to respond effectively and efficiently to the challenges of this dynamic industry. National rankings attest to the quality education that you'll receive from the University of Missouri. The health management executive program is ranked No. 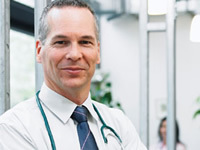 5 among Modern Physician magazine's "Top Business Graduate Schools for Physician Executives" for 2009. The health informatics program combines curriculum from managerial and IT perspectives to provide graduates with the skill to truly transform health-care organizations. The IT Help Desk is there for you to help with all your computing questions and problems and the online IT KnowledgeBase is available 24x7 service. Financial aid is available to qualified degree candidates who are enrolled at MU. Non-degree-seeking and post-baccalaureate students are not admitted to a specific degree program and do not qualify for federal financial aid. Financial aid includes: Student loans, grants, Curators' and University Scholarships (as well as other scholarships), Vocational Rehabilitation and some third-party billings. University of Missouri is fully accredited by the North Central Association of Colleges and Schools (30 North LaSalle, Suite 2400, Chicago, IL 60602-2504; 800-621-7440; http://www.ncahlc.org/). 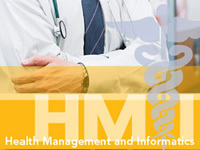 The Department of Health Management and Informatics also is accredited by Commission on Accreditation of Healthcare Management Education (http://cahme.org). Format is online with some weekend on-campus visits to Columbia, Missouri required. Moodle platform. Campus visits are required of all students in the Health Management and Informatics program. Students may complete the Free Application for Federal Student Aid (FAFSA). FAFSA code: 002516. Newly admitted Health Management and Informatics students begin taking classes each January and there are registration deadlines.